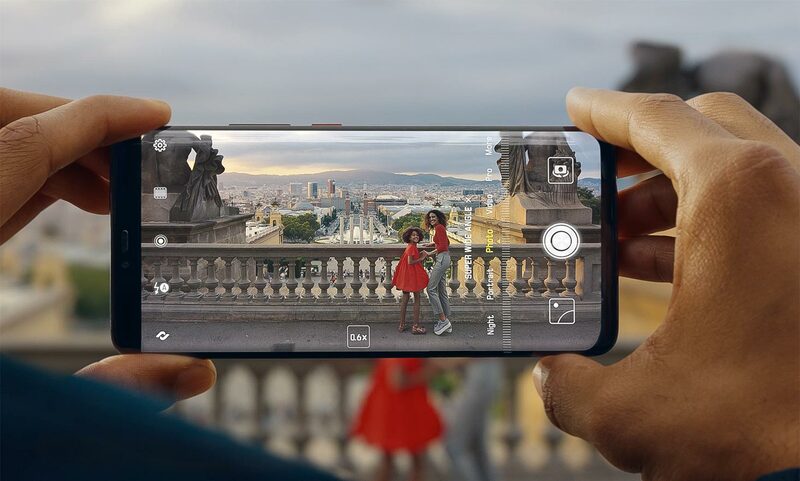 The HUAWEI Mate 20 Pro features the "flowing" design that endows the devices with a low drag coefficient, and its chassis is curved on all eight sides—a marvel to behold, and a pleasure to hold in the hand. For the PORSCHE DESIGN HUAWEI Mate 20 RS, Huawei and Porsche Design ingeniously combined race track elements with premium materials to create a device that exudes elegance and offers a firm, ergonomic grip. 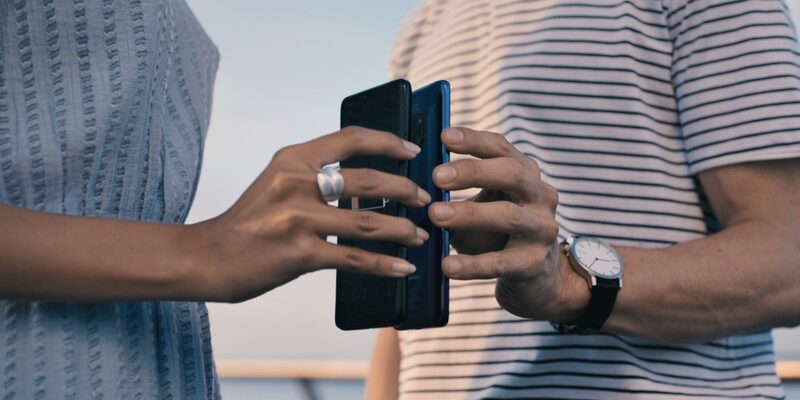 Compactly engineered, every device from the 6.39-inch HUAWEI Mate 20 Pro to the 7.2-inch HUAWEI Mate 20 X can be comfortably used with a single hand. The Matrix Camera adopts the iconic four-point design. It features polished rims encircling the lenses and sensor. It can easily be recognized even at a distance. The HUAWEI Mate 20 series features an all-new Emerald Green color as glamorous as its namesake gemstone. A Hyper Optical is etched on the surface of the glass, which gives it a delicate hand feel and fingerprint resistance, so it retains its clean look, even after extensive use. The Kirin 980 is fabricated with leading 7nm process technology, packing 6.9 billion transistors, or 1.6 times that of the predecessor, into a fingernail sized form factor. The advanced process enables the chipset to deliver unprecedented 20 percent improved performance that is 40 percent more efficient when compared with the 10nm counterparts on the market. The chipset handles even the most intensive tasks with finesse, delivering unprecedented battery life to the devices it powers. In terms of CPU, the Kirin 980 is the first SoC to embed Cortex-A76 based cores, which are 75 percent more powerful and 58 percent more efficient, compared to their previous generation. The Kirin CPU subsystem uses an intelligent flex-scheduling mechanism to create a three-tier energy efficiency architecture consisting of two ultra-large cores, two large cores, and four small cores. This solution is well designed to handle both immediate, intensive workloads and every day, light activities with extreme power efficiency. The Kirin 980 is the first commercial SoC created with a Mali-G76 GPU, which brings about 46 percent better performance and 178 percent higher efficiency than the last generation. And, with the introduction of AI resource allocation, this updated GPU improves stability to ensure users are getting a lag-free mobile gaming experience. 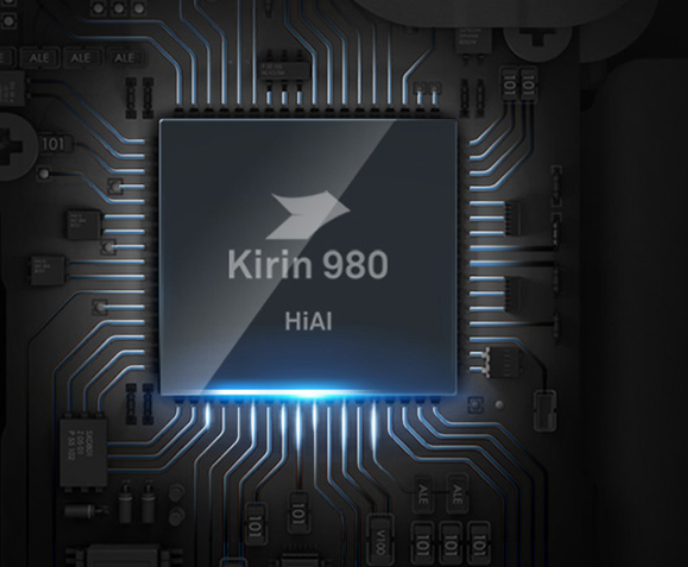 The Kirin 980 is also the industry's first SoC to be equipped with Dual-NPU, granting it higher On-Device AI processing capability to support any and all AI applications. The NPU is 182 percent more efficient with its performance is up 226 percent. HUAWEI Mate 20 Pro is the world's first smartphone to support the 4.5G LTE Cat. 21 standard, allowing consumers to experience download speeds of up to 1.4Gbps. It also supports the world's fastest Wi-Fi connection speeds—2GB footage requires only 10 seconds to download. The top-end flagship also supports dual-band (L1+L5) GPS positioning technology. The AI GPS Satellite Selection technology enhances the positioning accuracy across a wide range of scenarios. Building on the foundation of HUAWEI P20 Series' camera system, Huawei augmented the HUAWEI Mate 20 with a powerful addition—16mm Leica Ultra Wide Angle Lens. This wider perspective creates a sense of spaciousness and a three dimensional effect to the images. The new camera system also supports macro photography, which produces crisp images of objects that are placed as close as 2.5cm from the lens. The added ultra-wide angle lens and macro support completes the feature set of the camera system, elevating it to a truly all-round camera that is ready to capture any and all action. AI Spotlight Reel identifies clips with a shared theme and auto-generates a montage, made entirely of highlights. HUAWEI Mate 20 Pro and PORSCHE DESIGN HUAWEI Mate 20 RS both support 3D Face Unlock. By projecting 30,000 mapping dots on the user, the solution quickly and securely authenticates users within 0.6ms at a false acceptance rate of below 1/1,000,000. Using the 3D Depth Sensing Camera System located at the front, the two devices can accurately read the facial features of a subject and recognize even small details. Besides user authentication, this suite of sensors also enables the portrait beautification effects to be realized in a more natural and effective way. The HUAWEI Mate 20 Pro features 40W HUAWEI SuperCharge fast-charging technology, allowing these devices to be topped up quickly with a 40W adapter, which can recharge the battery up to approximately 70 percent (2940mAh) in 30 minutes. The HUAWEI Mate 20 Pro also supports industry-leading 15W HUAWEI Wireless Quick Charge. The HUAWEI Mate 20 Pro introduces a ground-breaking wireless reverse charging technology, which enables the smartphone itself to work as a power bank for other devices. The safety of the technology is certified by TÜV Rheinland. The Mate 20 X has a massive 5000mAh (typical value) battery and adopts an innovative cooling solution comprising graphene and vapor chamber. It can quickly cool down the smartphone while allows both the CPU and GPU to unleash its best performance. 3D Live Object Modeling can even create a fun digital avatar to dance or interact with. 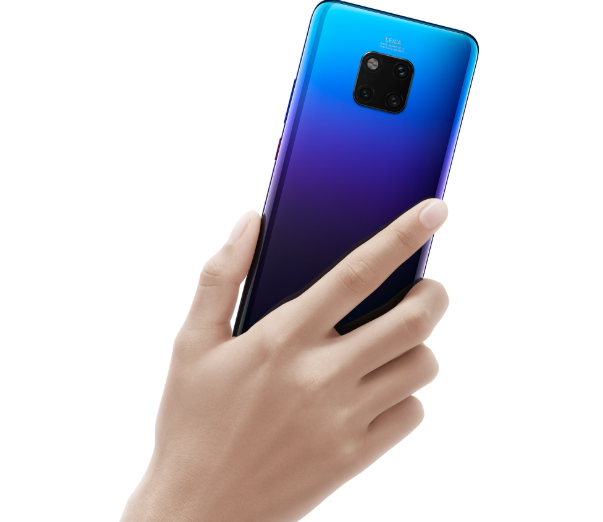 The HUAWEI Mate 20 Series comes with EMUI 9, a smart operating system based on Android P. Through AI self-learning algorithms, an integrated and granular resource allocation system, and a highly optimized Android environment, EMUI 9 delivers an "evergreen" experience—it remains smooth even through extended use. EMUI 9.0 incorporates a unified, ergonomic design and a streamlined settings menu. The new gesture navigation support allows users to effortlessly interact with their devices using just taps and swipes. It also introduces new AI features that enable the HUAWEI Mate 20 Series to perform or enhance a range of tasks from object identification and food calorie counting . Using 3D Live Object Modeling, consumers can even create a fun digital avatar to dance or interact with. As a key pillar supporting Huawei's all-connected, all-scenario initiative, HUAWEI Share 3.0 delivers a revolutionary improvement in device interconnection, allowing users to transfer files between smartphones and selected PC via a simple tap.